This showroom is located in Cambridge, Great Britain, which makes it the fourth showroom if there’s specifications on europe. We already have showrooms in Seville ( Spain), Nice (France), Nove Zamky ( Slovakia) and Moscow (Russia). Our new showroom has a 9m x 4m rink made of Lite panels, which are designed and thought not just for private use at home or hockey and figure skating practice but for leisure and just to have a great time with family and friends. 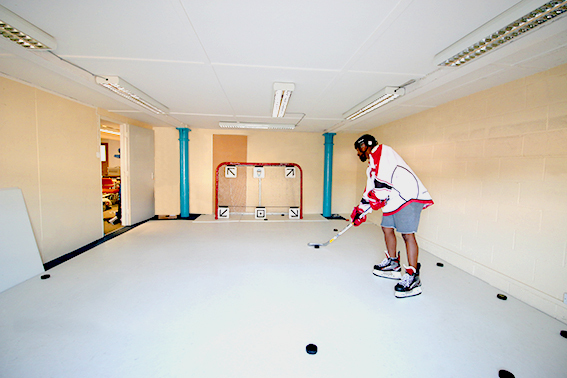 This rink was installed by Hockeytutorial, a company that teaches hockey tutorials online. So stop by today and check out our new showroom or any of the showrooms that may be near you. If you’re interested in getting to know more or try our synthetic ice, write us today and we’ll schedule a meeting as soon possible.